Nine out of ten Brits have heard of Bitcoin, according to research by YouGov. However, just 4% say they understand the cryptocurrency very well. About 23% say they really get Bitcoin. Men are more than twice as likely to state this as women. It’s not a surprise that the younger generations believe they have a good grasp on Bitcoin (43% versus those 55 and older, 16%). When it comes to buying or owning Bitcoin, only 4% have done this. 6% of men have purchased Bitcoin, compared with 1% of women. “Furthermore, 9% of 18 to 24-year-olds have bought the cryptocurrency, compared to 1% of those aged 55 and above. 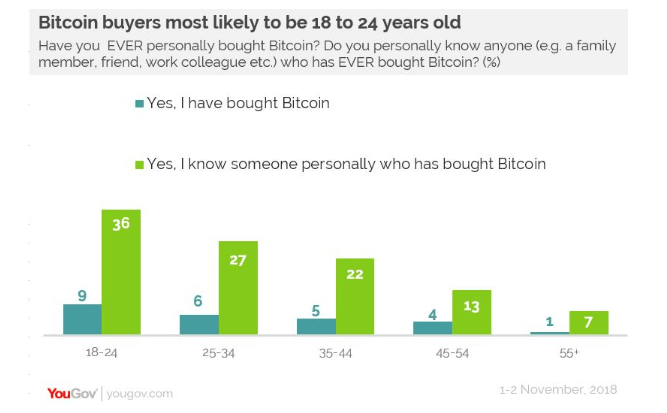 The younger people are, the more likely they are to know someone who has bought Bitcoin – falling from one in three (36%) 18 to 24-year-olds to just one in 14 (7%) of those aged 55 and above,” YouGov notes. 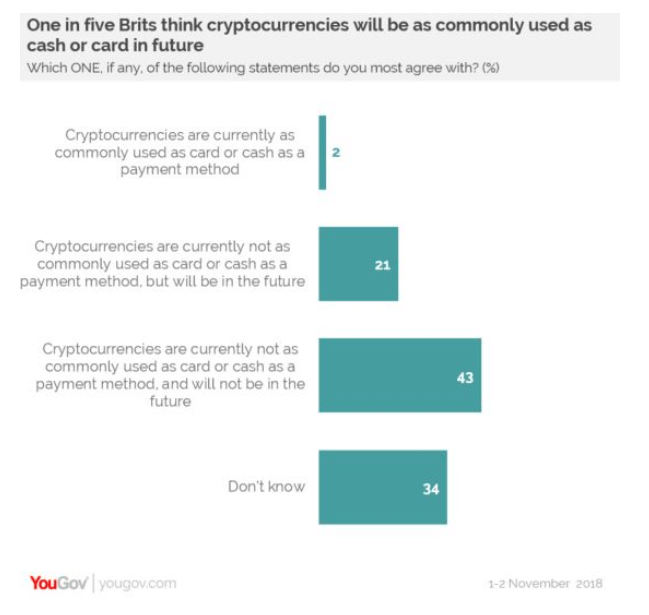 20% of Brits believe that crypto can potentially become as common as bank cards or cash. 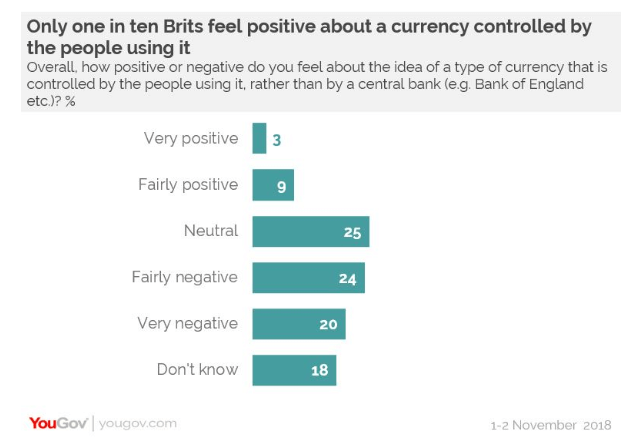 Nearly 20% feel negative about a currency controlled by the people rather than by a financial institution. This contrasts with the 3% that feel positive.